Ms. Hurt is responsible for overall business operations, customer relationship building and services delivery excellence. Together with her experienced team, she delivers unparalleled service to customers. Ms. Hurt began her career in retail before moving into consulting. Having worked for C&S Wholesale Grocers, a $20 million grocery wholesaler and retailer, she gained experience with talent acquisition, relocation, immigration and general HR practices. Ms. Hurt implemented the first and second generation applicant tracking systems while at C&S. 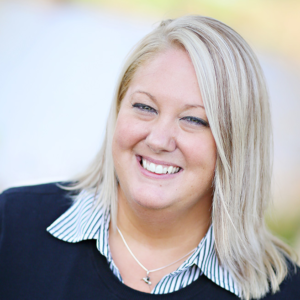 After 10+ years in the corporate world, she joined Taleo Corporation to implement Taleo software for various clients. Ms. Hurt delivered project management and consulting services for 5 years to a multitude of clients. After the Oracle acquisition of Taleo Corporation, she left to form Acuity Cloud Solutions with the intention of becoming an Oracle partner. Acuity was recognized as an Oracle Gold Partner in 2014. Heidi was named a 2014 Female Executive of the Year by Women World Awards and in 2015, recognized for her business success and community non-profit efforts with a Business Monadnock Trendsetter Award. Read more on Heidi’s LinkedIn profile.